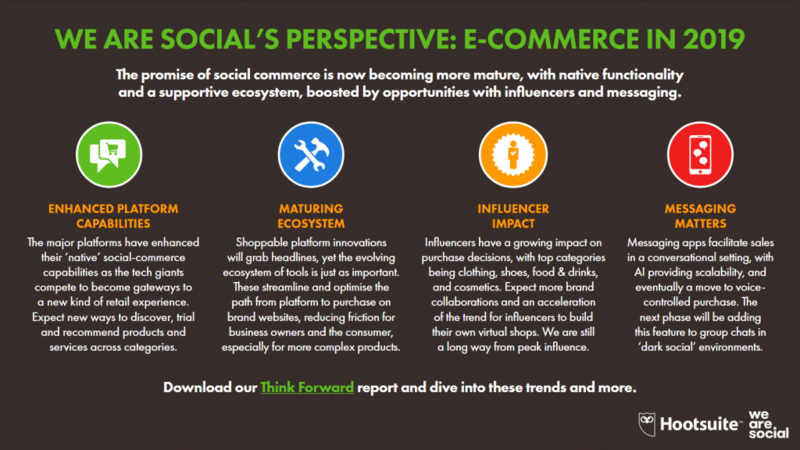 Global Internet use has shifted to mobile and social: it’s time for a new business strategy. 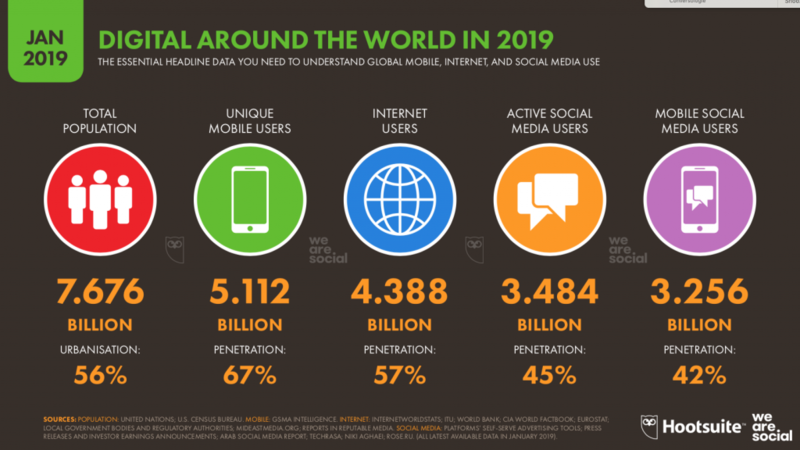 As of January 2019, just under 4 billion human beings were online via mobile devices. That’s around 90% of all people with access to the Internet doing it on a phone or similar device. That officially makes mobile the normal way people are online: whether they’re socialising, shopping, discovering, learning, sharing. 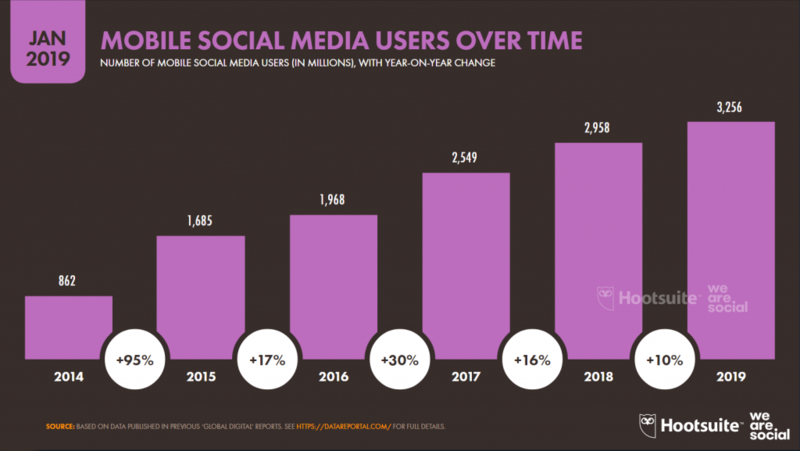 Growth in social media is equally impressive, with some 288 million new active users over the past twelve months, a number higher than the population of most nations on Earth. That combination of mobile and social uptake is rapidly reshaping the way consumers connect with business, too; and many risk being left behind by the change. Three of the five most popular social platforms are messaging apps. Of the three, Facebook-owned WhatsApp is leading the pack across the world, with Facebook Messenger second, popular in the Asia Pacific region. It makes sense that Zuckerburg plans to integrate the two with Instagram’s messaging platform, creating a unified front in the messaging space. 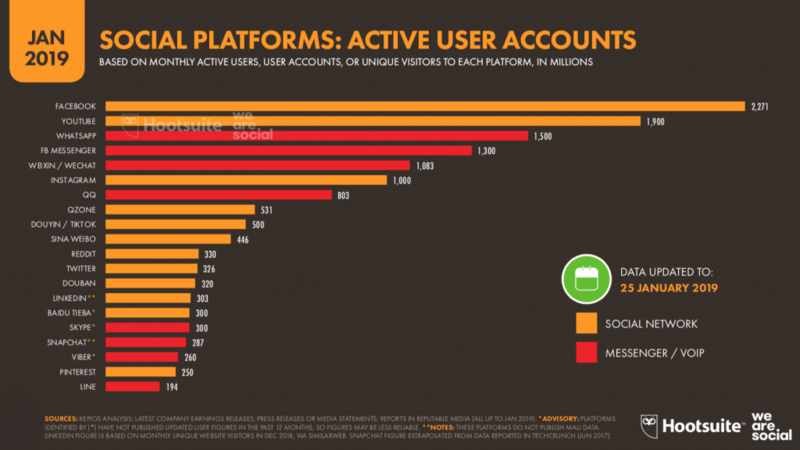 Instagram’s active usage increase of 4.4% vs Facebook’s 1.7% proves that they need to follow the users’ lead. This move into private spaces, or “dark social,” is a clear sign of behaviour change, including a drop in average time spent on the Internet through 2018. Interactions are quick and peer-based, and even product research is moving into the social space: a simple shoutout to contacts on a social network, or a conversation within a messaging app can yield faster and more trusted answers than consulting a search engine, blog, video, or review. It may also illustrate a growing distrust of Big Internet – with Google and Facebook* at the fore of influencing what we see online – and of advertising in general. By mid 2018 almost half of all Internet users were actively blocking ads, which suggests traditional advertising has not engaged and enriched consumers’ lives to any meaningful extent. To the savvier marketer, who has always known the most effective advertising is word of mouth, social media has made it a global possibility. As the trend continues, marketers will need to scale their ability to interact with consumers via messaging apps. Aside from the sledgehammer approach of broadcast messages – and the predictable backlash of blocked conversations – chatbots offer a way to bring marketing and dark social together. From simple customer service chatbot flows to complex AI builds that learn as they interact, to integration with mobile commerce platforms that allow users to discover, explore, and buy in one conversation, Chatbots used well are an ideal response to the trend to messaging. A warning, though, that the ad blocking story could be repeated in messaging, as unscrupulous marketers play the numbers game with insistent or intrusive bot interactions. 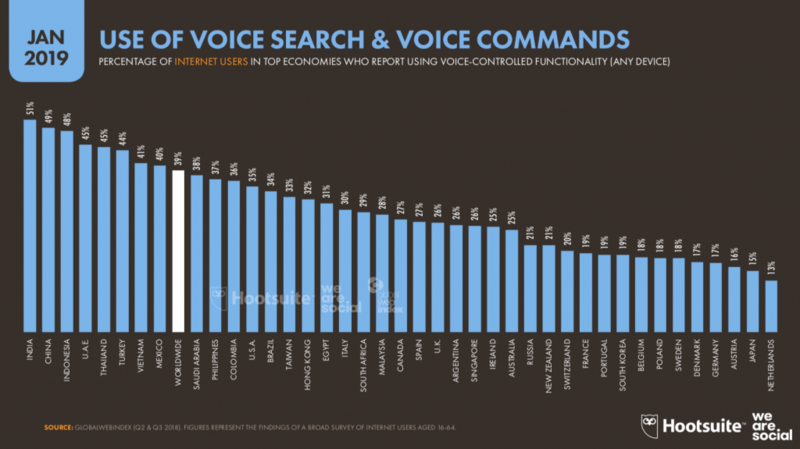 Led by India with just over half of all users, voice activated search is on the rise. This in no small way correlates to the prevalence of mobile as the main means of Internet access: entering a search term by typing on a small screen is fiddly, inaccurate, and suicidal if you’re walking a busy street. Future technologies to bookmark include voice bots and digital humans as a means of matching this trend. Voice powered shopping and even a messaging app helping build a grocery list before the m-commerce transaction. Augmented reality is also finding its stride, allowing users to visualise purchases; technology perfectly suited to the interactive nature of mobile. The move away from text is arguably also reflected in skyrocketing engagement with video content – which, while arguably just as distracting to pedestrians, offers an easier way to absorb information quickly and intuitively. With 92% of all users watching videos online, YouTube the world’s most popular website after Google, it shines curious light on Facebook’s decision to limit video virality. As the success stories of brands such as The Guardian, Dunkin Donuts and others have shown, video content no longer needs high production values: organic and lo-fi sends a message of authenticity, and capitalises on the trust of peer to peer. Hootsuite’s report covers many trends and jaw-dropping statistics. With more than 200 slides, there are many stories to explore – you can download the report yourself from Hootsuite’s website. As the world’s population aproaches 8 billion people, well over half of them have access to the Internet, more than two-thirds have mobile phones, and some 3.5 billion are active on social media. For marketers and businesses, the messaging is clear. Users search, share, evaluate and review through social platforms on mobile, and peer-to-peer interactions are favoured. Leveraging this will be key, whether via influencers, chatbots and voice bots, storification and video. Closing the deal will require social and mobile commerce. To discuss any of the issues explored here, book a meeting online with our Chief Conversologist and Hootsuite Ambassador, Jam Mayer.